News from LMCU: Time for a mortgage review? Time for a mortgage review? New Years is the perfect time to re-evaluate your mortgage. Is your rate at or above 5.5%? Are you considering a new home purchase or build? Rates are still very low, but likely won’t last for long. 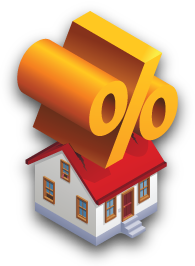 Contact any LMCU branch, call (616 or 800) 242-9790, or go online to lmcu.org today to take advantage of a guaranteed low mortgage rate* from LMCU! offers. Rates subject to change.